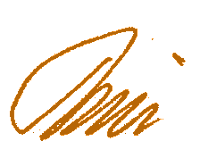 For today's freebies I return to the gooey Halloween stuff - and TWO freebies of it. First up is another alpha. 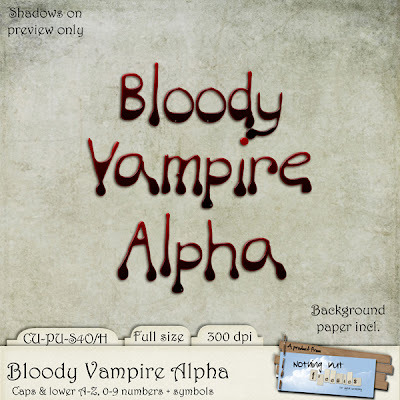 Bloody Vampire Alpha contains upper and lower a-z, numbers and a few symbols. I have even included the grunge background used in the preview. All CU. The second freebie is a pack of body part papers - eyes, ears, brains and hands - and a little blood, of course! Because of the parts used, I have chosen the name "Look, Listen, Think & Touch". I'll be back again tomorrow with more Halloween, so stop by again. Vampire alpha - brilliant - but do you have anough blood for all those downloads! Oh CC - don't worry. I have a permanent needle in my arm, and drinking a lot of red wine, so it should be OK! And Sue - I can't wait to see the result of your Vampire WA. thanks so much for the awesome word art & papers - the brains/think is my favorite!